Let us show you the beauty of the Dordogne whilst highlighting French food, wines, history and culture. 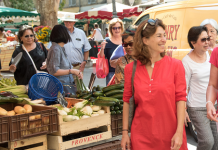 We have specially designed this guided holiday for food lovers, looking to experience the sights and delights of South West France. 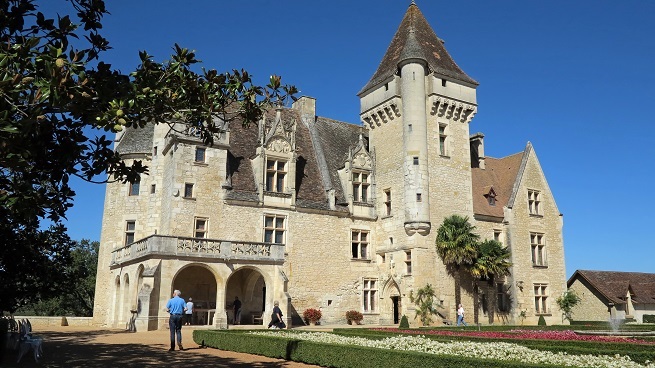 We are ideally placed to give you a wonderful holiday experience, showing you the beauty of the Dordogne whilst highlighting French foods and wine, alongside its history and culture. 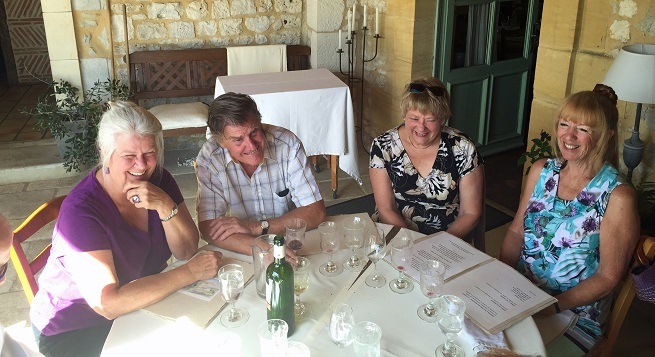 Your holiday will start with your enthusiastic guide Rozanne collecting you from Bergerac airport or station. You will be transported around in our people carrier in comfort each day, so no need to hire a car, no need to drive on French roads. 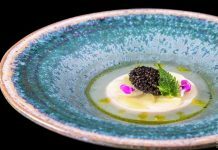 Your carefully planned itinerary will naturally centre around lunchtime, eating menu du jours in good restaurants every day, and you can trust me that here we have enjoyed doing extensive research to give you some wonderful experiences! Food is good throughout France but we are exceptionally lucky in this little corner of Aquitaine; with such fabulous local products the chefs can only excel! 3 course menus will cost you between 15 and 29 euros (plus wine) depending on which restaurant we have chosen for that day, and remember, with no driving home to do. You will be taken on a fairy tale journey visiting the romantic chateau of Josephine Baker with her incredible life story. There will be a visit to a truffle and walnut producing farm where Madame will recount her family’s trials and successes and you can taste her wonderful walnut oil and other products. We include enchanting Bastide villages with amazing vignettes of history, and churches with medieval fresques. You will have to cope with wine tastings in local chateaux and put up with lots of fun, such as an afternoon at the races ……trotting – how very French! One morning will be spent having a wine pairing talk, hands on – or rather taste buds on! We have great fun with this very interesting subject. 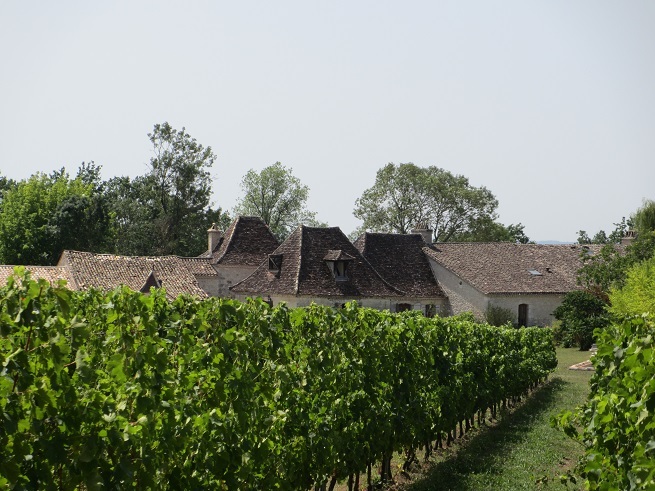 You should be surprised at how much you can learn about the basics of marrying different French wines with various food types and identifying those wines that just don’t go. Also you will learn some of the reasons why. For those with the energy, who want to keep the party going, we get together in one of the gites in the evenings, around a glass or two of something. Sometimes we chat about what we have done that day, sometimes we get interesting life stories recounted, sometimes a pack of cards comes out, depending on what anybody wants to do. No obligations – if you want to stay curled up on your own sofa, reading a good book (plenty in the gites) and recovering from the day, that is fine too. 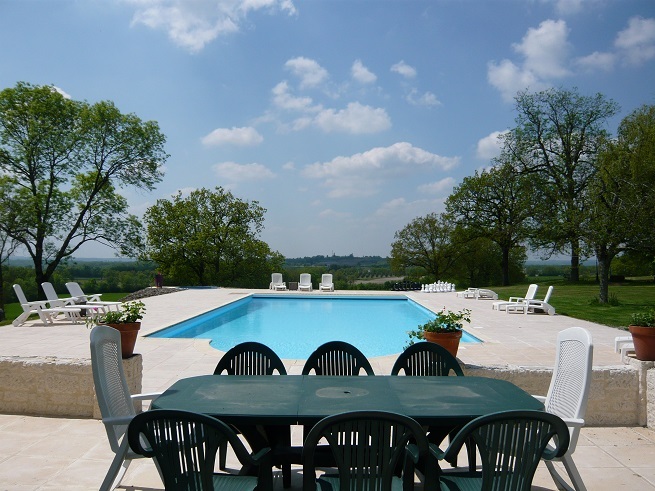 You will be staying in our comfortable and characterful gites, with a large, solar-heated swimming pool. Our cottages are all beautifully converted from a medieval farmhouse into independent accommodation, each sleeping 2 people in comfortable, large double beds. 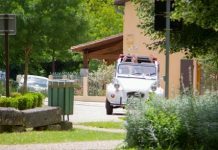 Although you won’t need to do much in the way of cooking, there is a full facility kitchen, including a washing machine and a dishwasher in each gite. Plenty of crockery and glasses are provided, so if you open a bottle or two in the privacy of your cottage, you have a dishwasher to dissipate the slog of washing up from your holiday. 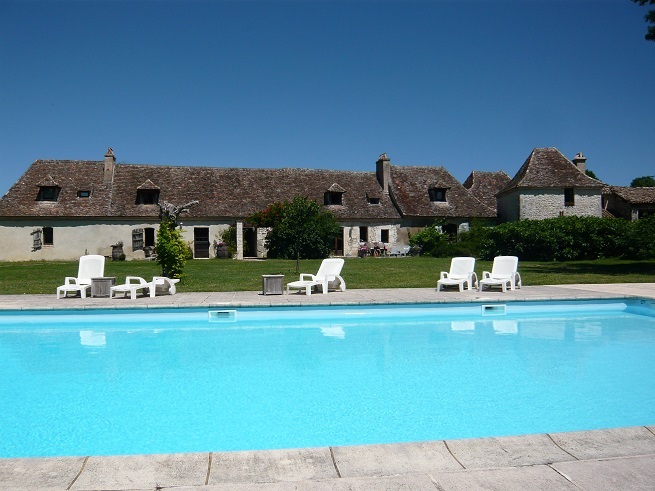 Each of the gites have their own characters and facilities; check out the full details on our main website, details below. Our special weeks are very successful, always having a good number of repeat bookings. We are proud to say that we have 80% repeat bookings or recommendations throughout the Domaine de Fumel reservations, which means that we are either doing it right or we are too cheap. Perhaps both? Our holidays are eminently suitable for both couples and for single people. Some of our regulars on the special interest holidays have holidayed here with their partners in the past, and now having been widowed, feel safe to come back and be looked after by Rozanne and the team. · The next dates that we are organising will be the week commencing Wednesday 26th September, followed by Saturday 6th October. The weather is normally very mild by then; most of the other tourists will have gone home but all the restaurants and places to visit are still open. Win, win! · This holiday is very suitable for single people as well as couples. · £499 p/p includes 7 nights’ accommodation, transport, all entrance fees and a wine pairing talk.